Why am I fascinated with Miriam Haskell Jewelry? Since early on in my beading, jewelry making career, I have been fascinated with Miriam Haskell Jewelry Designs. I collect it and try to acquire as much of it as I can possibly afford. Why? Because it is beaded jewelry that has outstanding craftsmanship, beauty, originality and there is nothing like wearing art, in my opinion. Fortunately, we have collected many of the beads and beading components from the Miriam Haskell Company over the years. 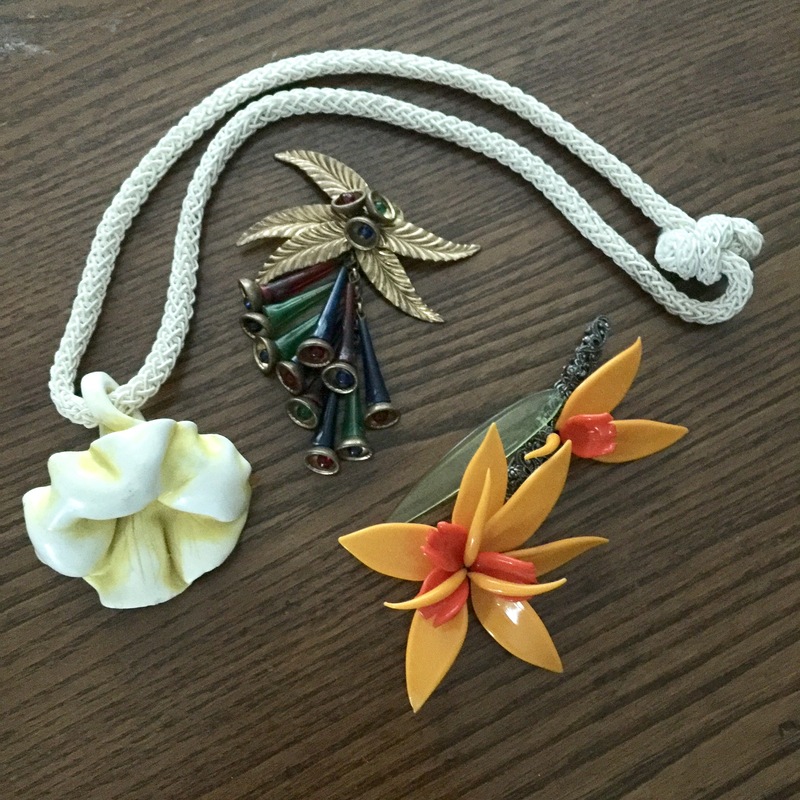 We have found these treasures from designer overstock job lots ,as well as, a significant score in the famous bead hoard. We have an entire section dedicated to Miriam Haskell beads and findings for your shopping convenience. I have spent hours and hours studying her pieces to learn about the techniques used to create this jewelry. It is fun to identify all the pretty parts that make up these wonderful inspiring pieces of art. Even the advertisements of Miriam Haskell Jewelry in magazines such as Harpers Bazaar and Vogue have become quite collectible. If you have been in the beading business in any way, shape or form for any amount of time, you will become familiar with Haskell designs. There are two must have books on the subject that are fantastic for reading as well as leaving on your coffee table to drool over from time to time. The Jewels of Miriam Haskell by Deanna Farneti Cera and Miriam Haskell Jewelry by Cathy Gordon & Sheila Pamfiloff are both sitting on my coffee table! 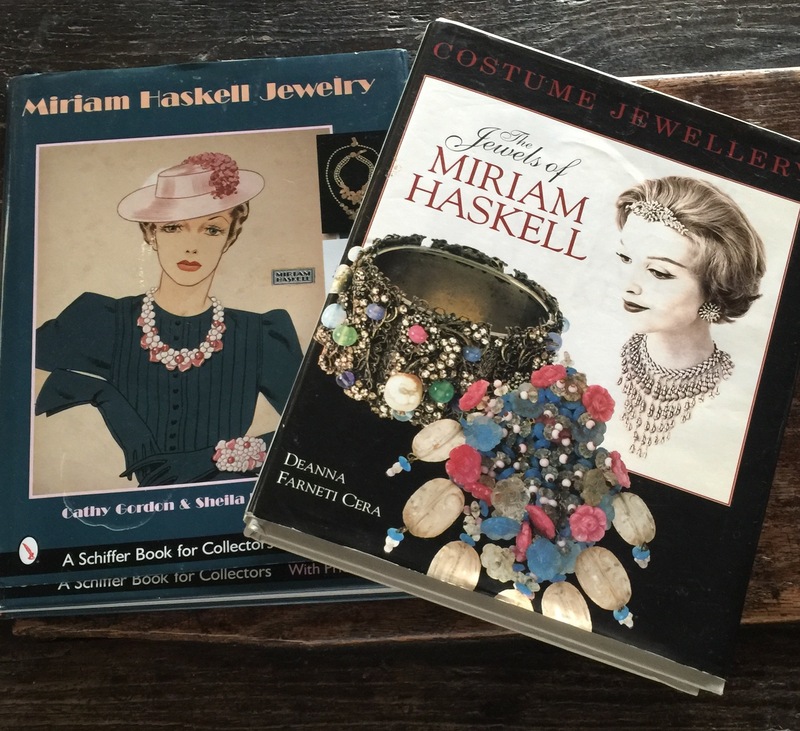 So here is a bit of History about Miriam Haskell Jewelry...Miriam Haskell jewelry became popular in NYC, Hollywood, and Europe beginning in the 1930's. Middle class women as well as the rich and famous bought her collections. Joan Crawford was one of Haskell's most faithful customers. It was said that when the actress died in 1977, there was a cupboard in her home full of the jewelry carefully arranged in boxes with dates of purchase and the original prices of the jewelry. Lucille Bass was another loyal customer who was seen wearing Miriam Haskell Jewelry on her TV shows. Gloria Vanderbilt was another. I could go on and on here. You may find it shocking to hear that Miriam Haskell did not design the jewelry herself. That's right folks! She was the business woman behind the company. She had the ability to predict fashion trends and also the great talent in choosing best selling designs from her extremely talented team of designers to use in her collections. Miriam Haskell costume jewelry is distinguished by the fact that it is entirely handmade. Unfortunately, Miriam Haskell did not start signing pieces until the 1950s so you have to do some research to authenticate early pieces. Miriam Haskell was inspired not from precious jewelry but from outrageously colorful and obviously fake jewelry of Chanel and other European designers. Glass beads from Galbloz in Bohemia, Germany, Japan, Wattens in Austria, headquarters of Daniel Swarovski, the producer of the finest in machine cut crystal beads are some of the exceptional materials that were bought and stored in NYC to be on hand and available for Haskell hand made designs. There were other materials stored in mass too. 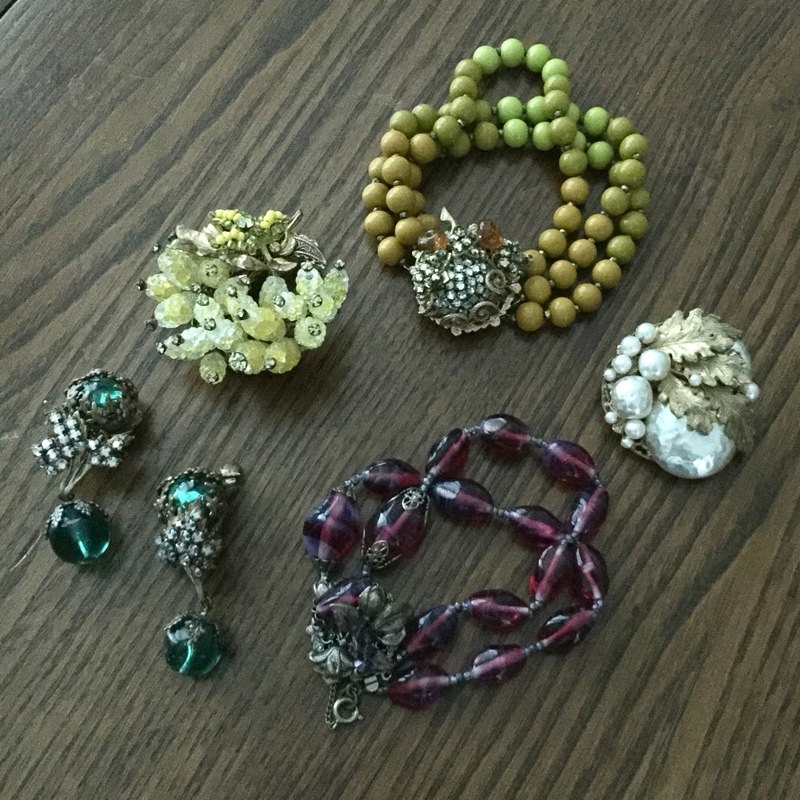 Metal filigrees and metal stampings, faux pearls, wood beads, cording and all sorts of findings to make these custom pieces of beaded jewelry. Just imagine looking at the stock of materials stored? It make me tear up just at the thought of all those wonderful beads and findings.